The programme for the 2018/19 season has now been published - see what we have in store for you. Email newsletters: With the ever rising cost of postage, we now offer an email membership option. For just £4.00 a year, you will receive all our newsletters as they come out, delivered straight to your computer. Of course, the postal option remains for those who can’t access our newsletters like this. Go to the Membership page to join. Our first meeting of the new season will be held on Tuesday the 11th September, when Robert Mee will give a talk on “Inn Signs and Local History” - Heanor will get the odd mention here! As always, the meeting will be at the Wilmot Street Centre, starting at 7.30pm, and admission is free. 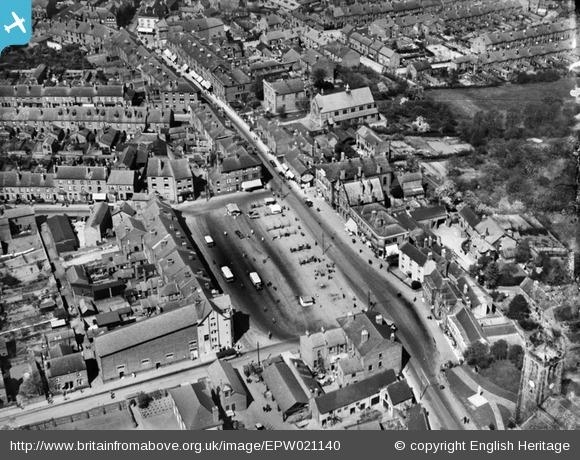 The Britain from Above website contains a huge number of aerial photographs from the 1920s and 30s - this is just one taken in the Heanor area. Using photos from that website, we have now created a Heanor from Above page. 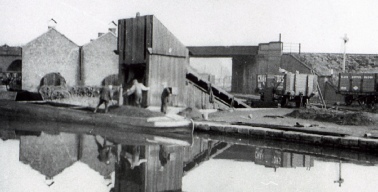 A coal wharf on the Cromford Canal at Langley Mill, dealing with coal brought down for transportation from Eastwood and Brinsley. Beggarlee was in operation until after the end of the Second World War. Coal and transport are two vital themes to the history of the area - it would be a very different place if there had been no coal here! 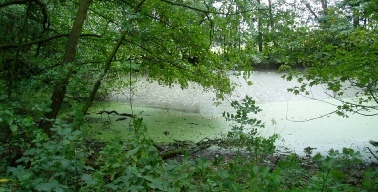 Lying at the extreme edge of the History Society’s area, between Codnor Castle and Ironville, the pond in Foxholes Plantation has a rather eerie feel about it, even in the best of weather. A good walk in the summer though. The History Society covers all the area around Heanor, including Smalley, Shipley, Langley Mill, Loscoe and Codnor. 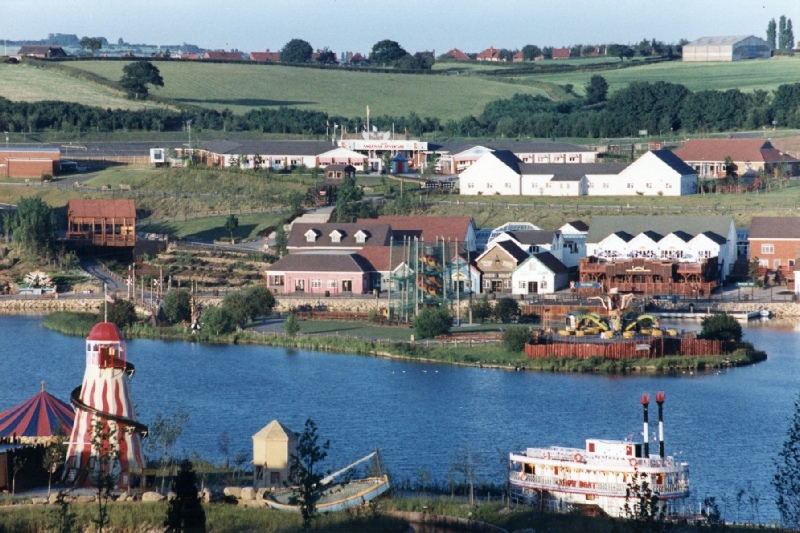 A theme park at Shipley, built on the site of the former Woodside Colliery, ran from 1987 to 2007. 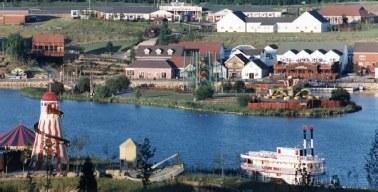 Even really recent history plays a part in the activities of the Society - the American Adventure theme park is now gone, with few signs that it was ever there. 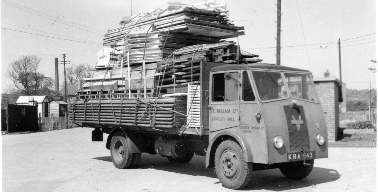 Vic Hallams was a timber construction company, founded at Marlpool at the end of the First World War, before moving to Langley Mill after the Second World War. 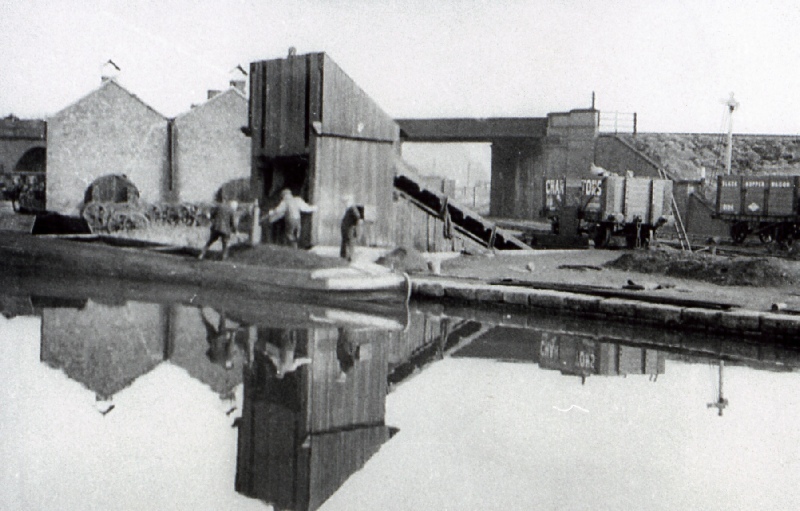 In an area such as ours, much of the emphasis is on the now lost industrial history of the 19th and 20th centuries. 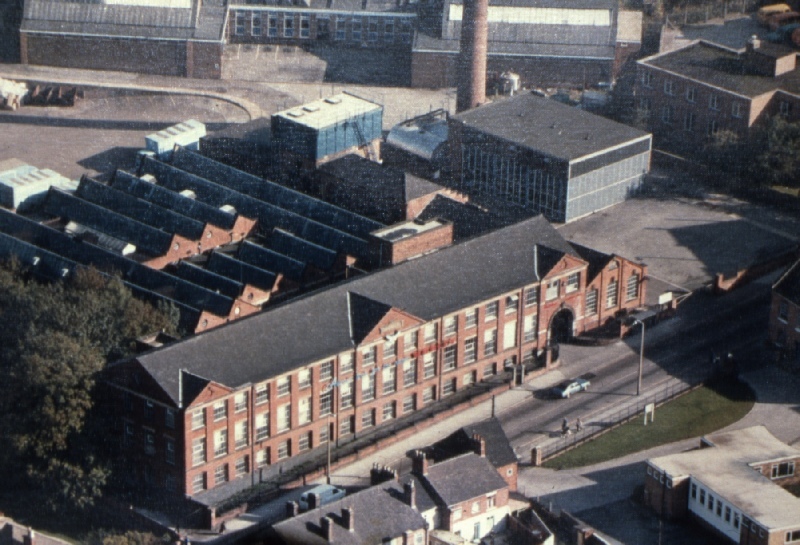 One of the biggest employers in Heanor, Morley’s was originally established in Sneinton, Nottingham around 1797 - the firm opened premises in Heanor in the 1860s. 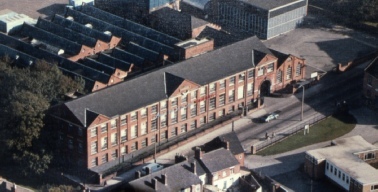 This aerial photo shows the north factory. We would like to hear from anyone who can tell us of their time working at Morley’s. Heanor (in case you are just browsing and don't actually know) is a market town in Derbyshire, England, very close to the border with Nottinghamshire. Not a major tourist area, but we are here to celebrate our history and heritage, which is as strong as anyone's! In September 2006, research was published into the "most English" places in the country, based primarily on the analysis of names in the most recent census, which split the country's population into 200 ethnic groups. Heanor was declared the second-most English town in the country, after nearby Ripley, with almost 90% of the population being English in origin. Third came Sutton-in-Ashfield, Nottinghamshire, and Boston in Lincolnshire came fourth. Whatever your views on what this means, at least it got the town's name mentioned! We hope you will find our site both interesting and informative. We aim for the site to undergo regular changes - most pages stay the same, but new additions come along (we hope) quite often, and eventually some items will also disappear. So please keep coming back to see what changes we have made. If you've not visited for a while, have a look at the What's New page, where we keep a running log of changes made to the site. The Society's interests extend well beyond this immediate area, and covers all the old Heanor Urban District Council area (including Langley Mill, Loscoe and Codnor), along with Shipley and Smalley. 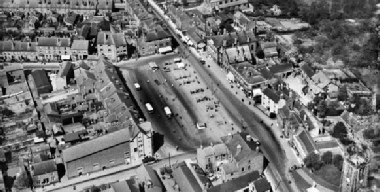 © Except where otherwise stated, the contents of this website are copyright of the Heanor and District Local History Society. If you want to use anything you find here, please ask - the chances are we won't mind. Where items have not been prepared by the Society itself, we would like to thank the owners of copyright of the images and items used on this site for granting us the necessary permissions for their use. In some cases, despite our best efforts we have not always been able to locate the copyright holders. If you believe that any rights that are yours have inadvertently been infringed, we would ask you to contact us and to accept our apologies. The Society is a registered charity. 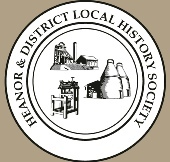 We are non-profit making, and all money we receive is ploughed back into preserving and promoting the past of the Heanor area - this website, our Heritage Centre, our publications, talks and displays, are all examples of our work. If you would like to assist us, please leave us a donation, large or small, by clicking on the button above - all transactions are administered safely and securely by PayPal. In the eleven years that this site has been on the world wide web, over 420,000 visits have been made, with over 900,000 page-views. Not bad for a site covering a small market town in Derbyshire! A number of emails are received each month - some are dealt with very quickly, others need a bit of time to think about! But please get in touch if there is anything that you feel you can add. 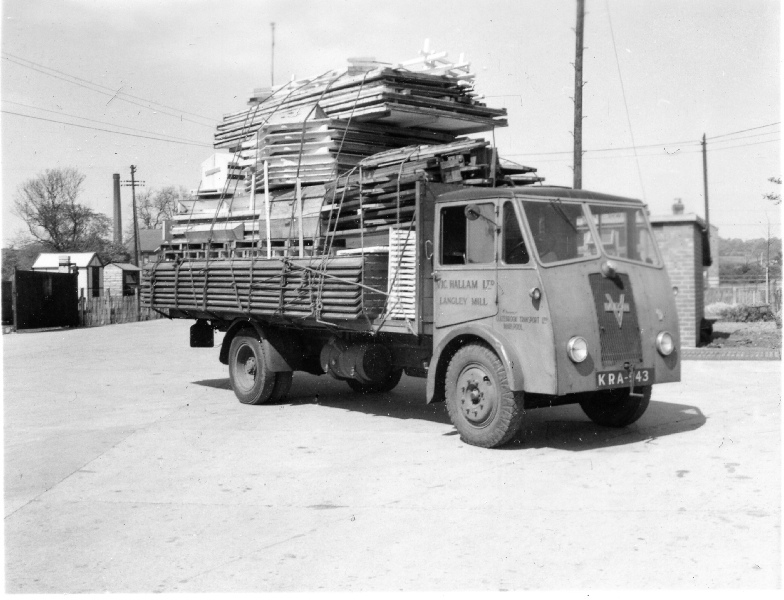 We are always keen to hear people’s memories of Heanor - just send us a few notes and who knows, it could develop into a whole new page on the website, or an article in one of our newsletters. But in the meantime, all of our available books can be found on this site (click on Publications above), and they can also be found at the usual local stockists. In case you missed it, there was a short article broadcast on BBC Radio Derby in November about the renaming of the King of Prussia pub - you can listen to it by following the link. On the slideshow below, you can click on any of the photographs for a larger image. The Society also has a page on Facebook. As well as being a different method of promoting our work, it is also a place to post photos and articles which wouldn’t easily fit into the main website. Below is a feed from our Facebook site, for those of you who don’t already use it. Please visit our page and “like” us! Entrance to all all our meetings is free - we will, of course, try to persuade to to become a member, or to buy a raffle ticket, but there is no commitment - everybody is welcome! We are still planning for new pages to be added to the site - sorry that it’s been a bit slow recently. Please let us know of any subjects you would like to see us cover - better still, send us an article, or just a few brief notes, and we will see whether we can turn this into an item for the website. Our new calendar is now available, and we have kept the price at £3.00 for the 14th consecutive year! You can get it from any of our meetings. It is also stocked by Frost’s on Market Street. Other stockists will be announced in due course. Or, if you would like a copy posting to you, click on the picture of the calendar to be taken to the order form.